A whole new wave of My Nintendo rewards have gone live in North America, with discounts available on a nice range of titles featuring some of Nintendo's favourite mascots. As ever, the usual wallpaper and 3DS theme offerings are present, too. 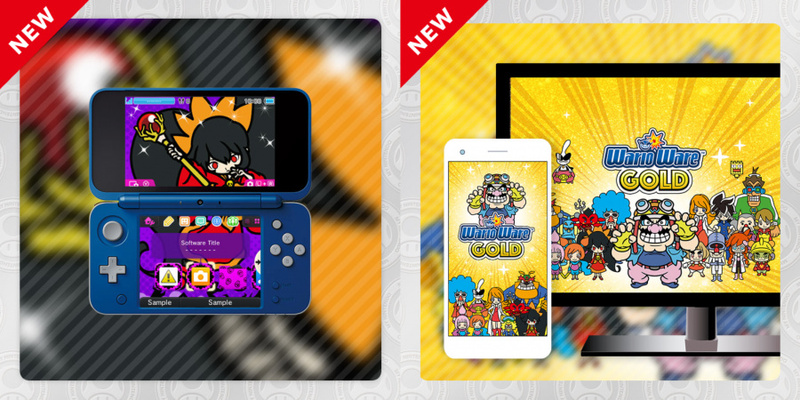 This time around we have one 3DS theme discount and a new wallpaper, both of which are celebrating the launch of WarioWare Gold. Nintendo 3DS theme: Ashley's Magic for me. Sorry, all useless. I'm sorry if that's super blunt but none of those have any appeal to me at least. 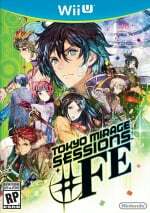 Best deal on that list is 30% off on Tokyo Mirage Sessions #FE. If you haven't played it and you're an RPG fan with a Wii U, you need to pick this up. Cool. A bunch of discounts for games I already own. They should allow you to be Fire Emblem Fates Revelations for free with gold. So if you only have a Nintendo Switch, are the sliver coins completely pointless? (besides the phone and desktop wallpapers) Honest question. Still nothing for Switch? C’mon Nintendo, it’s been long enough. Crikeys... you know, Nintendo- there are a handful of first party games I'd get for Switch (my only system- not counting a PS2 for which games are no longer made, obviously) if only you discounted them from time to time. Mario Odyssey, Fire Emblem, Splatoon 2, Arms... all look good. Only first party titles I have are Zelda and Mariokart. Its been that way for about a year now. Plenty of third party games via the e-shop with a rotating door of discounts. About 20 honest-to-goodness great games from other companies... could have been from you, Nintendo. Your reward for spending money is coupons to spend more money. If nintendo's goal was to make the biggest joke of a rewards program they've succeeded. At least I can put gold coins toward a direct discount on switch but come on this is just hilarious. @Mr_Zurkon Did you notice that the "Nintendo Switch Rewards - Coming Soon" section was taken down a while ago? I think Nintendo thinks that this "gold coin discount" thing is good enough. Ashley theme for me. Not as good as a Crygor theme, but Ashley is cool too. Why just "Conquest"? If it was the "Revelations" DLC, I'd be all over that. However, I finally get to spend a lot of my points thanks to those discounts on "Metroid Prime: Hunters" and "Tokyo Mirage Sessions: #FE." @Azikira Yeah, and why wouldn't it be enough? Do you guys really need discounts on selected games when you can just use your Gold Coins to create your own discounts on whatever games you want? EDIT: Well, after some quick math, I take that back. The discounts are indeed a lot more versitile on the Switch, but they're also a lot smaller. For example, you can now pay either 110 or 130 Gold Coins to save $18 on a $60 Wii U game, but the same amount of Gold Coins spent on a Switch discount would only save you less than $2! Even after accounting for the versatility and the newer system, that's a ridiculous difference in the amount of the discounts! So, anyone who still has a 3DS or Wii U in addition to a Switch should never bother with the Switch discounts except for when some of your Gold Coins are about to expire, which unlike Club Nintendo is not automatically available information on My Nintendo. They added Smash Controller (the app that lets you use the 3DS as a controller for Smash Wii U) to the Platinum Points section. I hope they make it compatible with Smash Ultimate, it would be really useful for 8 Player Smash. How noticeable is the sensorship? Do you know bad it is? My main problem with sensorship is that (for characters models and things like that) it looks very bad. Aside of that I don't want to lose content, context, etc. It's a very Japanese game with a story that takes place in Japan, really hate to get something sensored for (apparently) being too Japanese. @BulbasaurusRex I don't really care about discounts, nor do a lot of the people who miss Club Nintendo. Personally, I loved all the wacky random physical collectables they had. I reached platinum status every year so I would always get a really cool prize for supporting my favorite platforms. I still have everything I got, too. They were pretty top-shelf items, right up until the end where they were starting to transition to digital rewards. Such is life, though. @RandomLeo00 There are a few costumes that were censored, but the only censorship of substance involves the second chapter of the story where they changed references to graveure modeling to generic photoshoots. They had to do it, though, as leaving in such a thing would've merited an M or equivalent rating in the West, which would've cut out a large chunk of their target audience (including me), while the way they adjusted it was handled very well. Otherwise, all of the Japanese culture save for the language itself is left intact. I had a blast with the game when I borrowed it from the library, and I'm willing to use this discount to support them for when I finally get around to finishing the game and playing New Game+. @Azikira That's true. I miss their physical rewards as well, even if over half of them weren't very good and they rarely added anything new to the catalog aside from the yearly Gold and Platinum level rewards. Still, saving money on games is really nice too when they actually offer something you want but haven't already gotten. I actually don’t have some of these games so I will consider a few of these discounts. @Azikira No I did not. That is does not bode well. "Thanks, Tom. We're hearing alot of high-pitched sounds coming from crowds, with some bystanders describing its similarity to that of a small violin. Once again, it seems, consumers are upset they have not received extra perks months after receiving the goods they actually purchased. I'm not sure what Nintendo is doing, but they clearly are not interested in giving things away for free. The scene can only be described as chaos." 30% Star Fox Zero is hilarious. That'd be 30% off full price on the digital download, when used copies of the game go for very cheap. 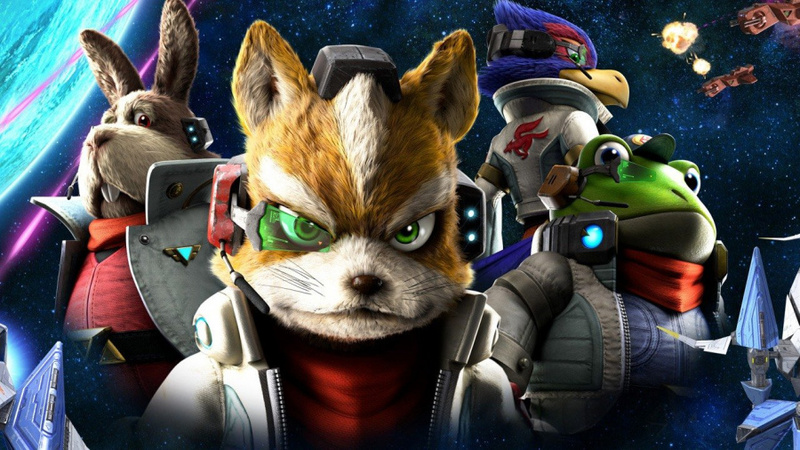 You can get Star Fox Zero + Star Fox Guard on Amazon for $15 right now. If this is the cheapest way to get metroid ill bite. @RandomLeo00 As @BulbasaurusRex said, it's really not bad at all, the substance of the game is for the most part in tact along with the Japanese cultural references. @BulbasaurusRex Responding to #18, yes the straight value comparison is bad. However, the 3DS and Wii-U rewards are worthless when they're for games I'm either not interested in or that I bought and played forever ago. At least the Switch rewards can be applied to new stuff. For me, getting a $2 discount on Switch is better than the alternative: absolutely nothing. Thank god Nintendo lets us use the gold coins for discounts on Switch games. @RandomLeo00 The outfit censorship gets pretty stupid at times. It annoyed me upon release, and it continues to annoy me now. With that said, if you're willing to look past this, it's a solid JRPG that makes decent use of the Wii U's GamePad. @NoxAeturnus Right. Not to mention that you can usually find those same Wii U/3DS games for way cheaper in physical form. Take TMS as an example. I can go online to Amazon or Ebay right now and find it for a good deal cheaper than 30% off the full price. Why would I waste my gold coins on a discount like this? Bravely Default. Ever since my... 2nd?... 3DS was stolen, along with this game, I never picked back up with BD unfortunately. With the Switch in full swing and full of backlogged goodies, this and Metroid: Samus Returns aren't going to get the 3DS airtime they want from me. The last 3DS game I'm waiting on is Shovel Knight: King of Cards whenever Yacht Club feels like dropping that. As for Tokyo Mirage Sessions #FE, I still have my Wii U, but the statutes of limitations have run out of this game for me-- My Wii U is a straight Netflix/Crunchyroll/Alternate Internet Browser option now. Will they ever bring back the DLC packs on My Nintendo? Those were awesome. Either way, I'm gonna use the Shadow Dragon discount. Just the Ashley theme for me (one of my favorite tunes from WarioWare). In my opinion, Nintendo missed an opportunity to have a ton of Wario-related game discounts this month. Those are really good offers for once but I mean.. they’re for Wii U. That’s more of a slap in the face than a deal. A five finger deal. @HobbitGamer: I'm starting to think our humor runs parallel on occasion. I don't personally think the discounts on offer are bad if one doesn't mind their retail games in a digital format. My Nintendo isn't amazing, but I have reaped some occasional benefits. I was getting ready to become mildly annoyed as soon as I saw Fire Emblem in the title, as I bought Sacred Stones just last week on Wii U. Then I didn't see it in the list. Now I'm good, haha. 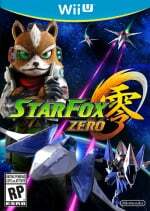 I haven't touched Star Fox Zero since I beat it on release day. Can't remember the last time I was that disappointed in a game, I really wanted to love it too. Still $60!? After over two years? Yeah no. Might get it physical though. @seacliff You can get it way cheaper than the discounted price physical I think nowadays. All my platinum and gold coins expired recently. There’s just nothing worth getting. Discounts are ok, but they’re always for games I already own, and I will always go physical where available anyway. I was never a huge fan of Club Nintendo, but it was so much better than this. Over the years I accrued various soundtrack CDs, a SNES Wii controller, some Mario Kart pin badges etc. From this new scheme all I have are some wallpapers for my phone (that I never use) and a collection of emails from Nintendo informing me of my coins expiring. @NintendoFan4Lyf we al miss club Nintendo. Nintendo has by far one of the WORST loyalty programs I know, ever, and I´m not even talking about gaming industry only. I´ve been a Nintendo client for more than 20 years and seeing every month this kind of "rewards" it´s honestly, offensive. Sony and Microsoft are miles and miles in front of Nintendo in this matter. @MeloMan Well, that's just silly. You've even still got the thing plugged in, so there's no reason not to play a good exclusive game for it when you've got the chance. It's not like you're going to be shunned by your friends and family if you all of the sudden start playing an outdated system again. @BulbasaurusRex Nah, I got so much to play on Switch I'm all set. Time, money, life, and all that jazz... I can only play so many! 3DS and Wii U... I love you Nintendo, but why on God's green Earth are you refusing to give any rewards for Switch?! These rewards aren't even really tangible things, they are just discounts! I miss Club Nintendo. I still use a 3DS game case got toward the end of that. I'm not sure those games are worth $15. Can you PLEASE just add Switch stuff too Nintendo? Why not? My platinum points just keep expiring. Nothing even remotely worth using them on. @Danito @Yorumi I know y'all are really salty about Nintendo's new rewards program, but it is not the worst change-over. Coke.com's newest rewards program is so, so much worse. I think it's only had three things that weren't sweepstakes or contests you could redeem your points for. And now Pepsi just started a rewards program that mimics the old mycokerewards (even though they are super stingy with the points). That is some real disappointment there. At least Nintendo is not having you redeem points for contests where you're most likely not getting anything in return, yet. @argh4430 I´m not salty man, I´m disappointed. Do you know what you get when it´s your birthday? Poor discounts in old games...that´s the kind of stuff I´m referring. Of course, I´m not expecting free games or 80% discounts, but those really don´t feel like "rewards", they feel like leftovers in a lot of cases. Now those programs you mention wow...sounds terrible indeed!